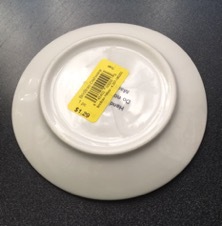 Many times, the items that I buy at Arc thrift stores are for organization. 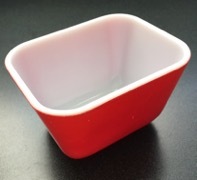 I have lots of little dishes and trinket boxes for storage that I have thrifted at Arc. 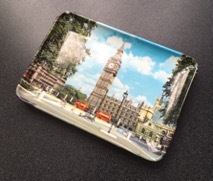 But I do not have a ring holder for next to the sink when I am doing dishes. I started hunting for one recently and when I did not find one right away I decided I would make my own. 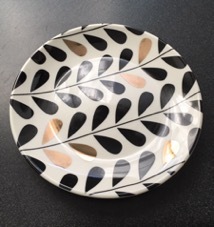 I found a small saucer with a great pattern from one of my favorite arc thrift stores. 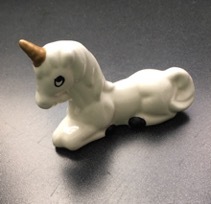 Then I managed to find a small ceramic unicorn for only $.69 to be the actual ring holder. 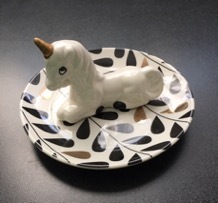 I liked how it looked with the unicorn set straight on the plate but I decided I wanted to fancy it up a bit and paint the unicorn gold to match the pattern on the saucer. 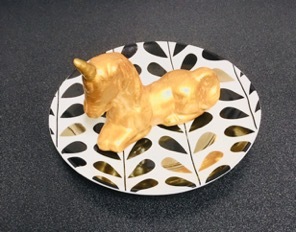 After painting it I used glue that bonds ceramics to glue the unicorn down. I love how unique it is to my home since I thrifted the pieces separately and put it together myself. That is my favorite thing to do with items from Arc.